There are thousands of species of the fungi commonly known as mold. Mold exposure, especially for those with asthma or mold sensitivities, poses a serious risk to your home and family. Everything from yourself, to your pets to even your belongings can be harmed due to mold exposure. So what exactly are the health risks of mold exposure? Let’s look at the impact of mold and how to keep your home mold free. Persistent coughing and/or wheezing can be one of the symptoms of mold exposure. Mold often impacts your respiratory system the most aggressively, especially if you are sensitive to molds. These symptoms will last longer than those from a cold or the flu. This coughing could exacerbate into difficulties with breathing or other symptoms that mimic asthma. For those with asthma or mold allergies, the reactions could be more intense including shortness of breath and even fever. Unexplained fatigue can be another symptom. If you feel unusually tired, especially after getting adequate rest, it could be a result of exposure to mold. Tremors or the unexplained onset of vertigo can be symptoms as well. According to Everyday Health, “Some people have dizziness or vertigo attacks when they’re exposed to certain allergens, such as dust, molds, pollens, dander, or foods.” So, if you’re not typically prone to these neurological symptoms, it could be due to mold exposure. Rashes or irritated skin can also be symptoms of mold exposure. Itchiness and rashes are commonly associated with mold. Your skin can suffer irritation from mold spores that spread around the home. Even though generally healthy people don’t usually have severe mold exposure issues, those with compromised immune systems or existing respiratory problems are affected the most. According to the Center for Disease Control (CDC), “People with a weakened immune system, such as people receiving treatment for cancer, people who have had an organ or stem cell transplant, and people taking medicines that suppress the immune system, are more likely to get mold infections.” So mold can lead to serious complications to those with existing issues. Most long-term effects are more damaging due to chronic inflammation or irritation of the lungs. The best thing to do to heal from mold exposure is to get away from the environment until it’s cleared of all molds and mold spores. The number one cause of mold exposure in homes stems from moisture issues. 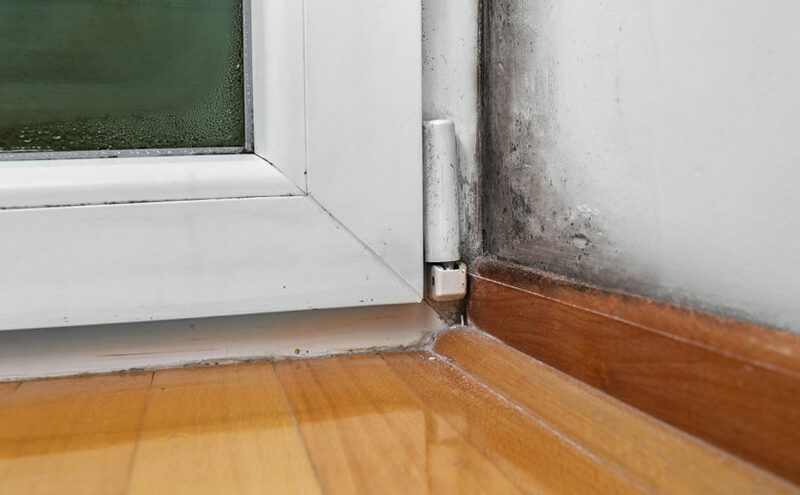 While mold is common both inside and outside the home, mold can only exist with a source of moisture to feed it. As long as the moisture is there, it is nearly impossible to clear up a mold problem. Moisture seeps in through all types of cracks or vulnerabilities in the home. Even if you clean mold away, some spores will remain and begin growing again if the moisture issue isn’t addressed. It’s like bailing out a boat without fixing the hole – you’ll never solve the problem. Basements and other areas prone to humidity, moisture and low activity give rise to mold growths that can expand quickly. Like weeds ignored in a garden can multiply quickly to choke out flowers and vegetables, so mold can grow quickly to overtake areas in your home. Basement areas are most likely to develop mold due to their naturally high humidity and low traffic. Mold can get really advanced before you notice it; especially if it’s in a dark corner of the basement. Many people use their basements for storage, but no one wants their belongings ruined by mold exposure! However, if you leave mold unaddressed, it will most certainly do damage. Be aware that chronic humidity in your home is bad for air quality and good for mold – that’s a double whammy for your home! Dehumidifiers are excellent for homes in areas with persistent moisture in the air. Even in homes with central heat and air conditioning which tend to aid in the reduction of moisture, basements are still the one area of homes that are prone to high levels of humidity, and therefore prone to mold issues. To prevent mold and mold exposure, you’ll want to keep your dehumidifier at the recommended setting. The most common recommendation is between 30-50% humidity. However, don’t overdo it and make your home too dry; excessive dryness can lead to other issues. The best way to avoid mold exposure issues is to waterproof your home. No home is completely safe from moisture without professional waterproofing. Even the sturdiest foundation will wear away over time without some help. There are several factors that lead to moisture issues. Waterproofing not only helps prevent water from entering your home in the first place, it also helps clear moisture away if it enters. There are also several options for waterproofing. Everything from sump pumps to entire outdoor waterproofing solutions will help keep your family and home safe for years, making them well-worth the investment. Previous Previous post: What Is Weeping Tile? Is It Important for My Home?